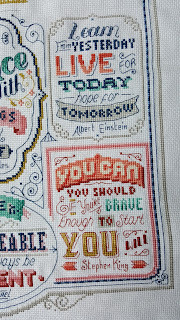 I've neglected my blog again but it's because I have been busy stitching! In September of this year my Mum turns 70. 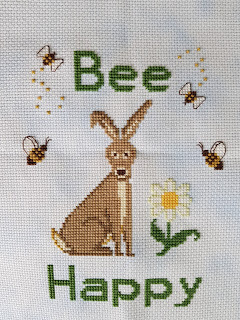 My parents have several of my earlier framed finishes on their walls but I haven't stitched anything for them for a while, since my Dad's 70th birthday 4 years ago in fact. I asked Mum if she would like a stitched piece and she asked for a Lowry. She left the choice up to me as she still wanted a "surprise". So here's my big finish! 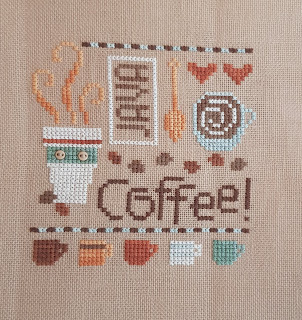 I'm so proud of it. 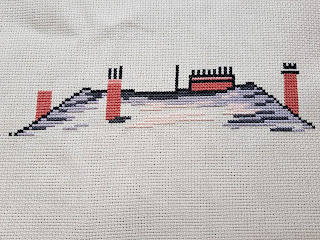 I started off quite slowly and ended up having to stitch it virtually every spare minute. Though I thoroughly enjoyed it, it became hard work at the end. A valuable lesson to start in plenty of time! 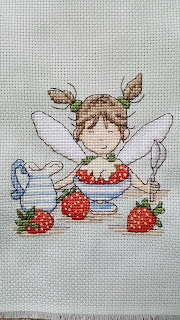 It's now at the framers, due back at the end of August so just in time for the big birthday. I also have a couple of little finishes which I haven't shown here yet. I stitched this one as part of a SAL in the Facebook group All Things Stitcher's Anon, to show Gaynor we are thinking of her while she is in hospital. 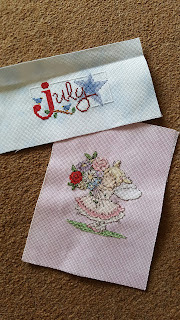 I also finished up my last of these Lizzie*Kate monthlies which were kindly given to me by Julie of Julie's Stitchyknitter Journal. 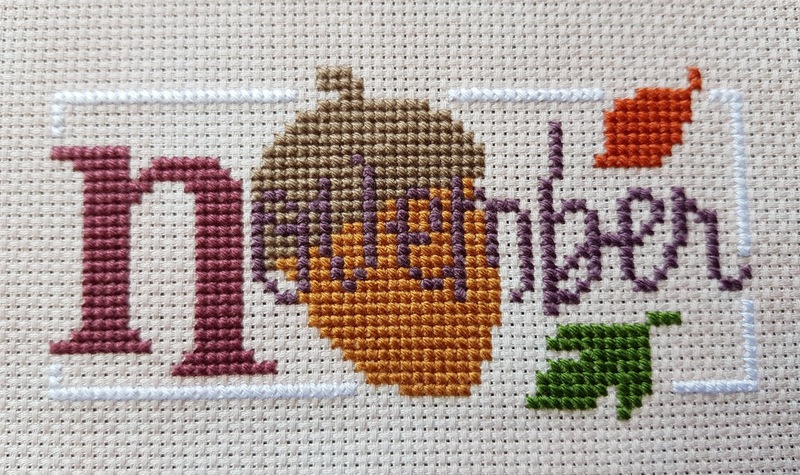 It was quite funny to stitch November in July! 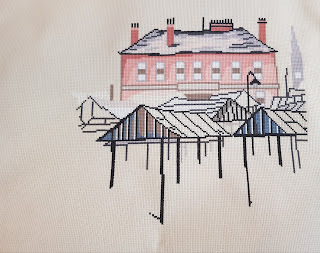 Since I finished the Lowry I have been at a bit of a loss with my stitching, so I'm sure there will be a few new starts to get me back into the swing of things again. Or maybe I will become a One at a Time stitcher like I used to be before I discovered blogging? Time will tell. 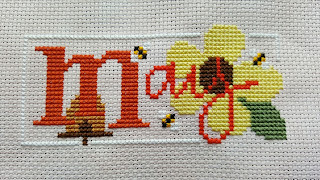 One more thing - if you haven't already please check out the Mii to You blog which belongs to my friend Ingrid (who used to blog as Mii Stitch). 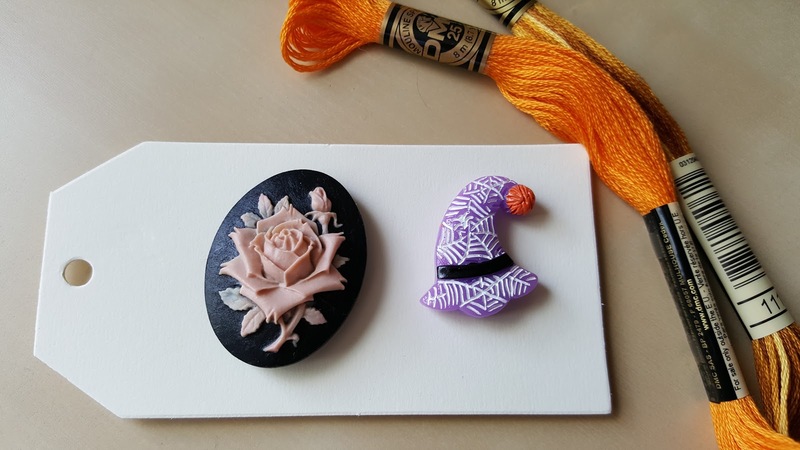 She is making the most adorable ornaments and sending them out as RAK gifts to her followers! 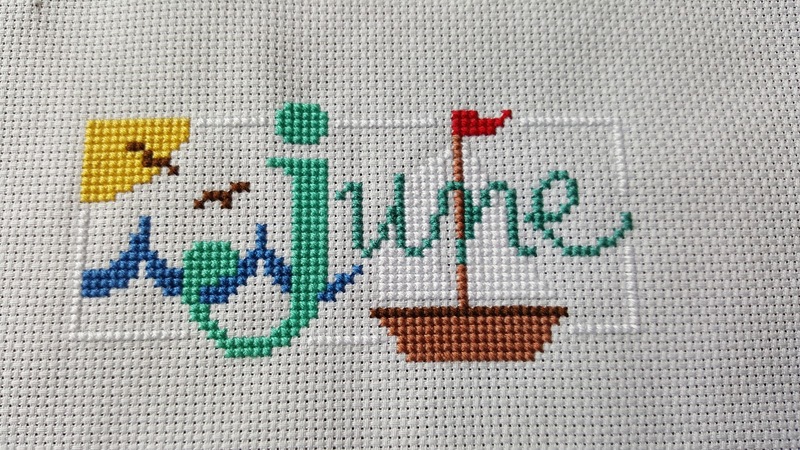 Hope you are all having a lovely summer wherever you are! It is a few months since I posted an update here. I have seen quite a few regular bloggers decide to give up or have a break and I have been thinking the same thing myself, but I've quite missed blogging! So here goes another try. 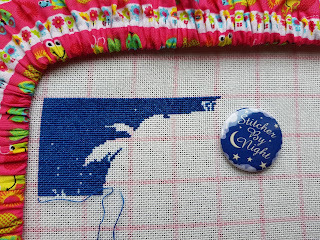 I am still stitching almost every day. 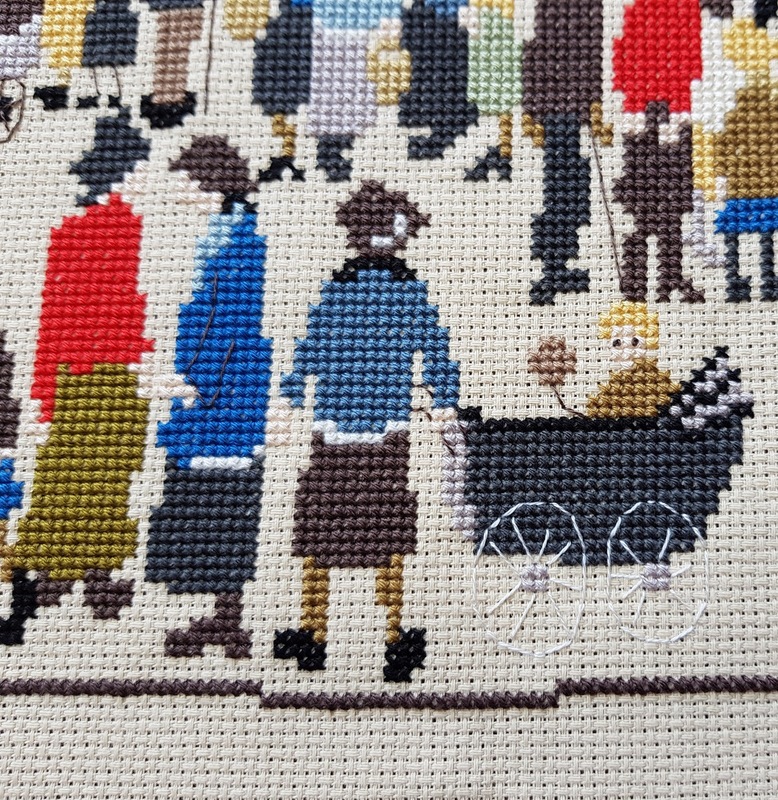 I have a project with a deadline which is for my Mum's upcoming 70th birthday in September. 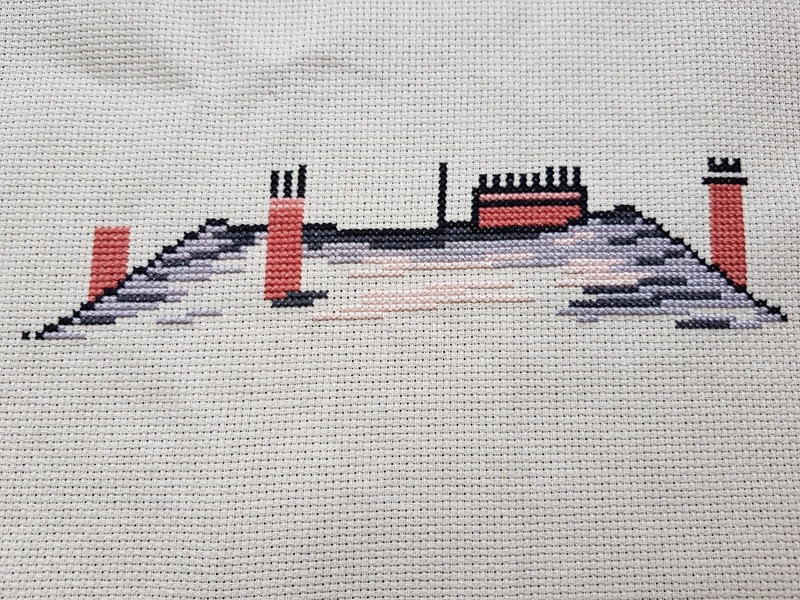 She asked me to stitch her a Lowry design but she doesn't know which one I chose. 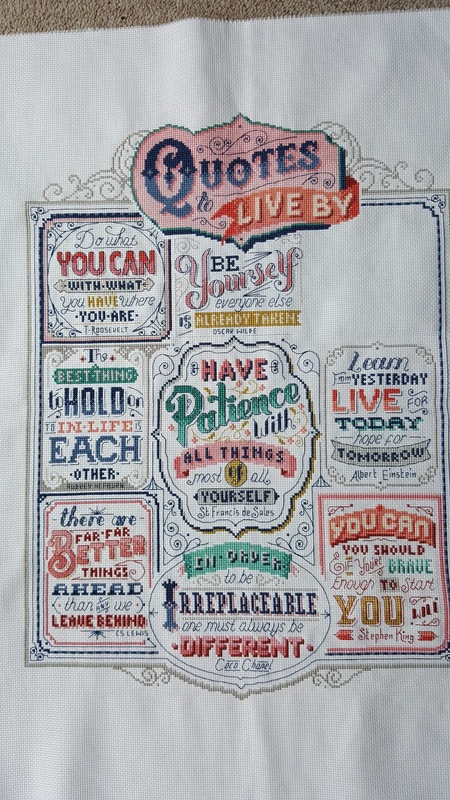 I think I'm just about on target to finish by the end of July which is when I will need to take it for framing. The pink mill and the roofs of the market stalls are almost done and that's the bulk of the full coverage. Then onto the fun part - the people! 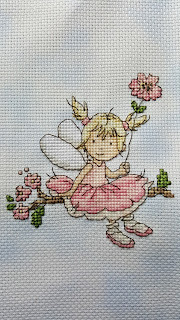 I've had quite a few small finishes as well but as usual they are not fully finished into anything yet. Can you tell I went a bit crazy when I found out Lizzie Kate was retiring?! I think I bought enough charts to last me a lifetime! 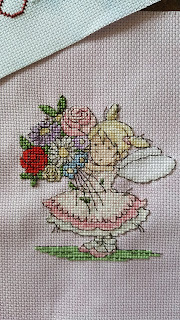 Hope to be back soon with some more stitching. Well it has been a long time since my last post, over 3 months. I didn't intend to be away from blogging for so long but I have been working on some rather large projects so there isn't as much progress to show regularly. I started this beauty, Amara and the Book also by Jasmine Beckett Griffith, on 16 February 2018. 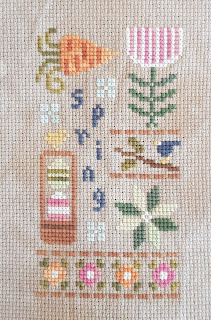 And I also started this Bothy Threads kit as a gift for my Mum who is going to be 70 in September this year. 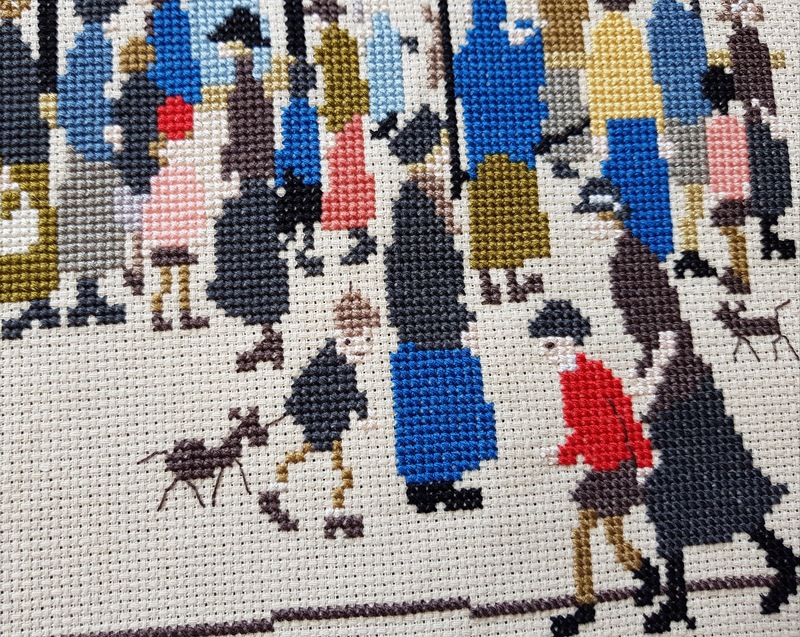 She is a huge fan of Lowry and asked me to stitch one for her birthday, but she asked me to choose the design and keep it a surprise. 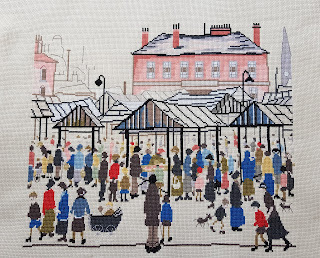 I chose Market Scene-Northern Town. This is how it will look when finished. 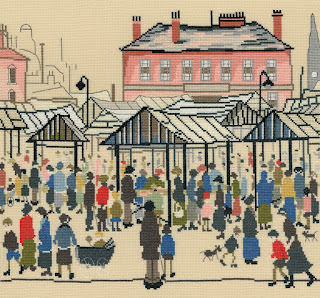 What I love about it is even though I've only stitched part of the roof, it's recognisable as a Lowry because of the colours used. 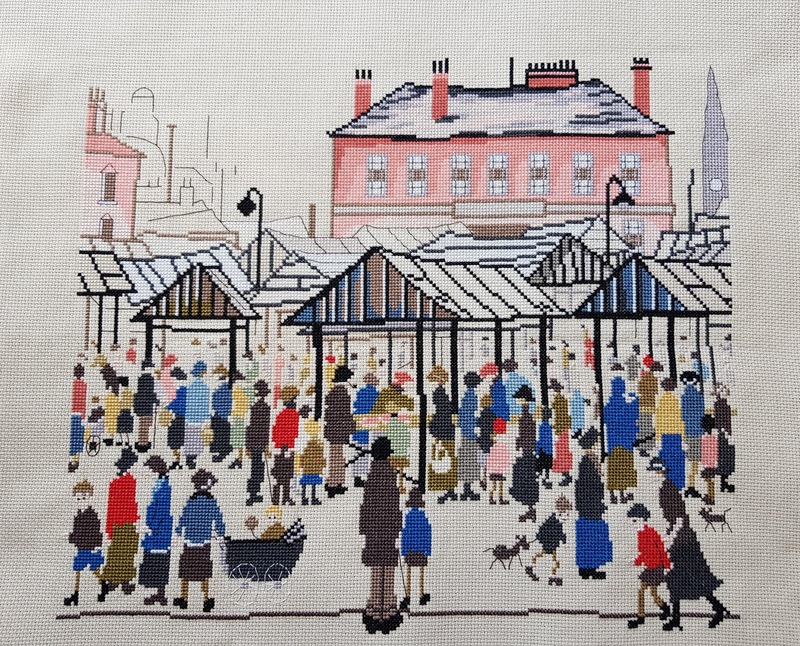 Apparently he only used a very limited colour palette, mixing the colours with black and white to achieve the different shades used. Here's my progress to date. It's nice to finally update my blog, I'll try not to leave it too long next time. 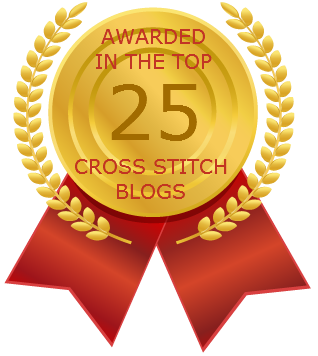 But I have been stitching! 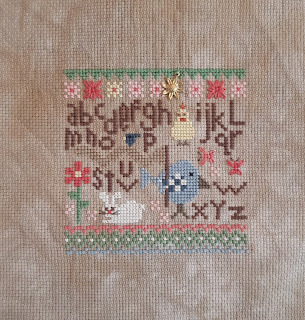 Back in September I admitted to my friend Ingrid that I was feeling a bit fed up with my WIPs (works in progress) and that I had been seriously thinking of starting a Heaven and Earth Designs chart (HAED for short). 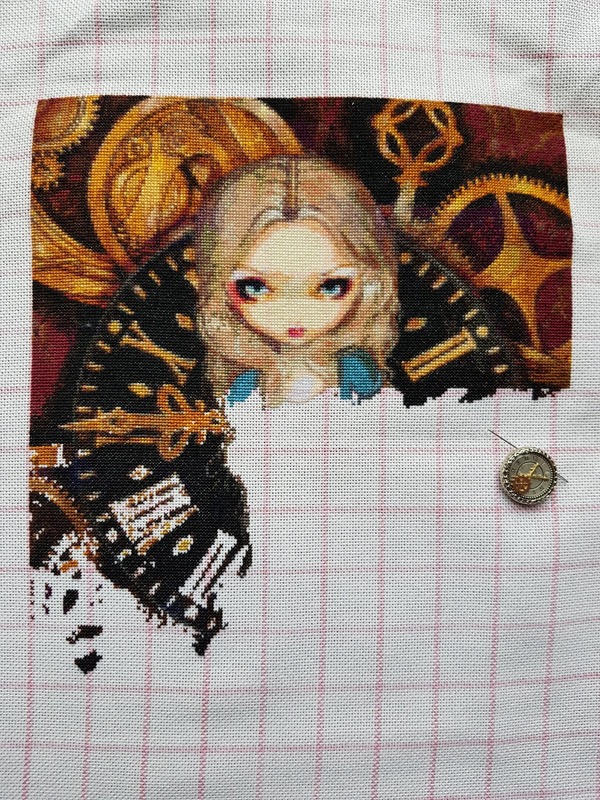 On 14 September I started stitching on Alice in Clockwork by Jasmine Beckett Griffith. 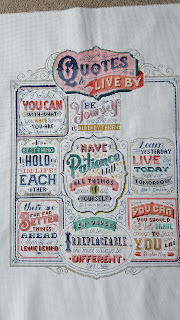 The chart was gifted to me a while ago by an inspirational HAED stitcher who blogs at Pull the Other Thread. 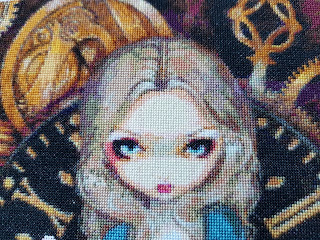 For those in the know, she is classed as a QS or Quick Stitch, though at 185 stitches wide and 232 stitches high there's still plenty of stitching to be done! 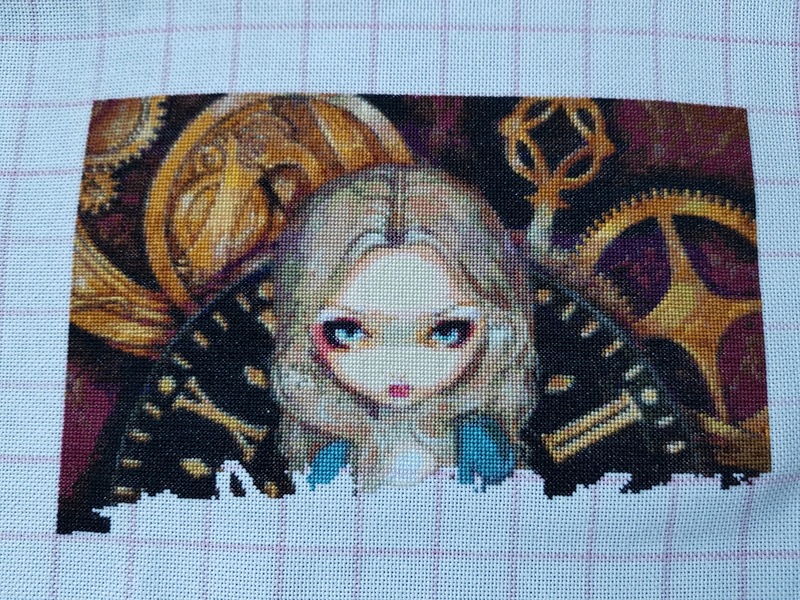 And here is my progress after 11 weeks of stitching on her! I've completed three of the nine pages in the chart which represents the whole of the top row of this design, and roughly 45% of the total of the chart. 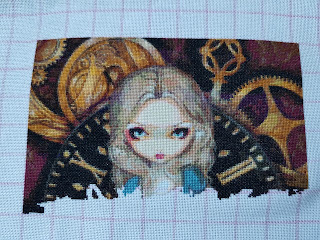 I'm stitching her with one thread on 25 count easy guide aida. 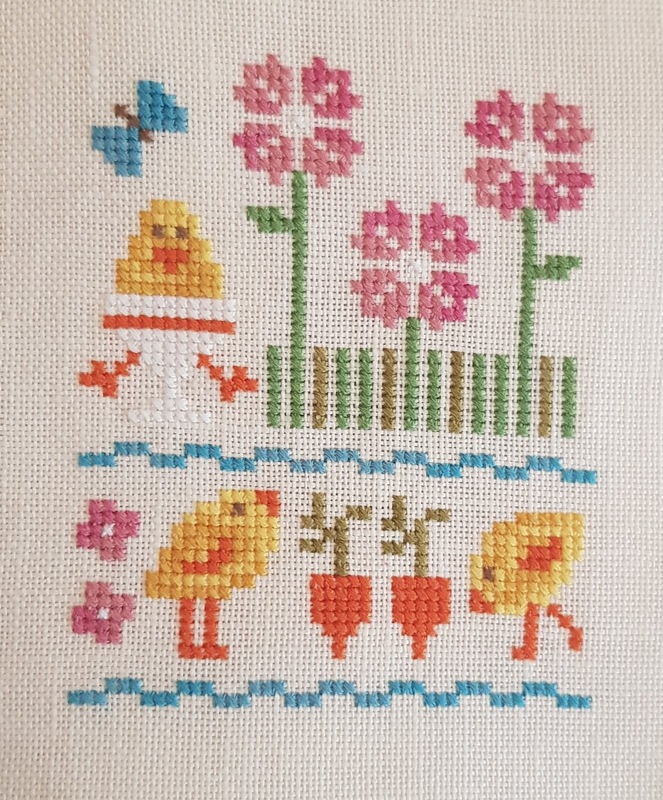 I can hardly bear to put her away but today I am treating myself to this new start, the chart for which Ingrid very kindly gave me. 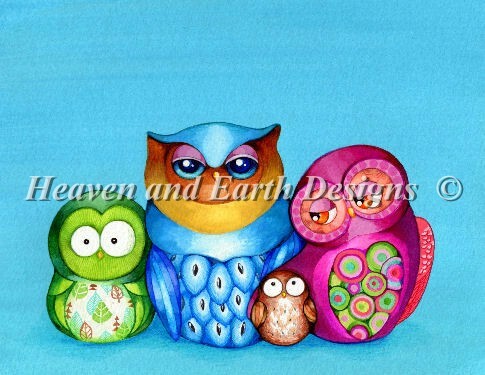 This chart is called Mini Owl Family Portrait by Annya Kai. 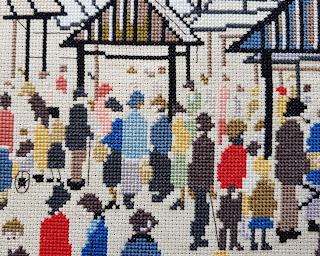 There are over 40 rows of DMC 3766 at the top to begin with which should be relaxing to stitch! 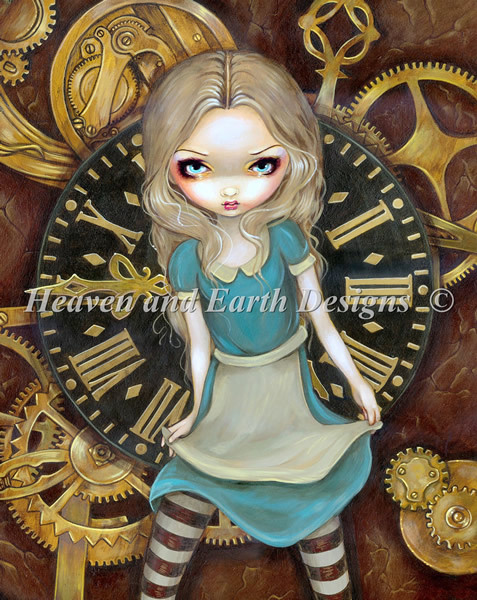 I'm looking forward to some bright colours after the browns and golds of Alice. Hope to be back with you before too long. 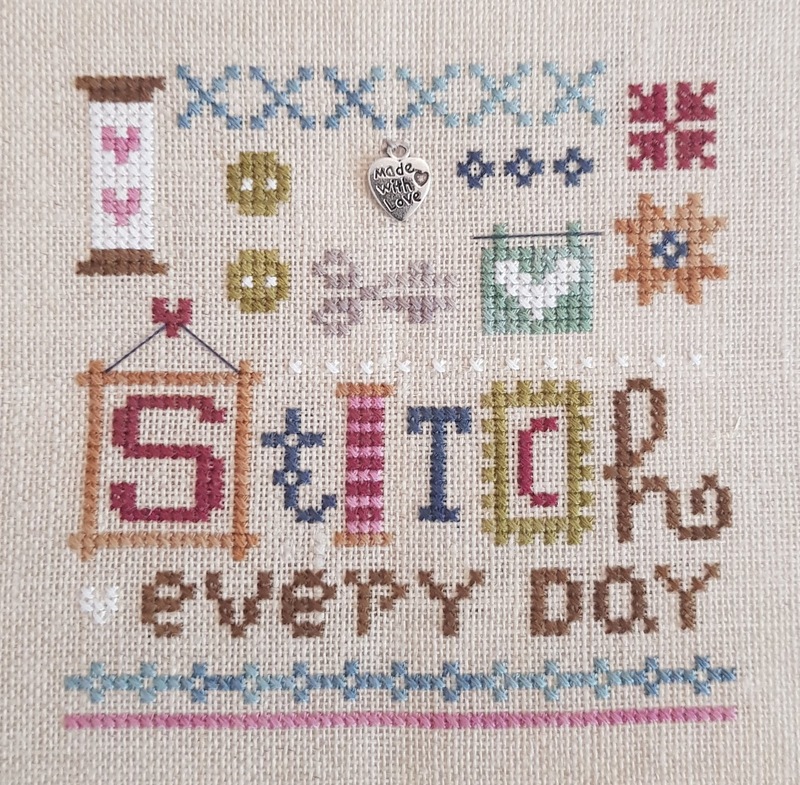 Today is the Big Reveal for the Needle Minder Exchange organised by my friend Mii Stitch. 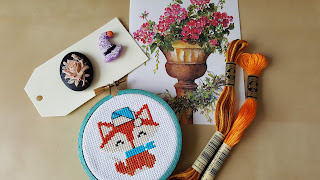 The idea was to send a needle minder, a stitched gift and a skein of DMC floss. 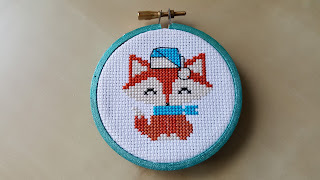 ...and such a cute fox ornament! Thank you Carrie, I truly love everything you sent and feel completely spoiled! 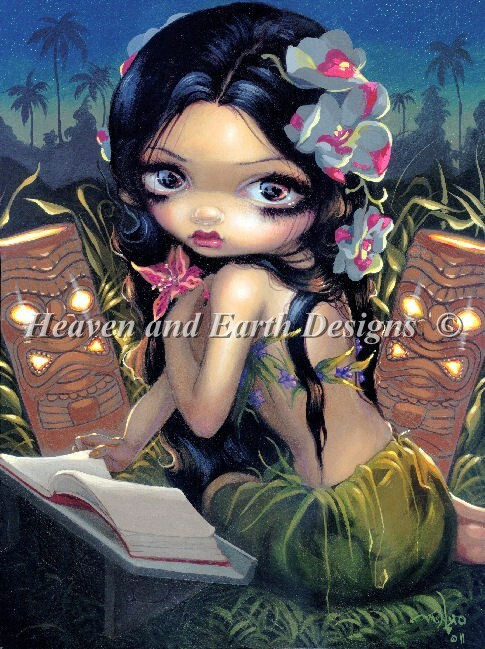 I sent my parcel to Lorynn but don't know if it has been received or not. She lives in Florida so I'm hoping that she and her family are OK and that my parcel has made it safely. I won't post a photo just in case it is still en route. Thank you Mii for organising this fun exchange! 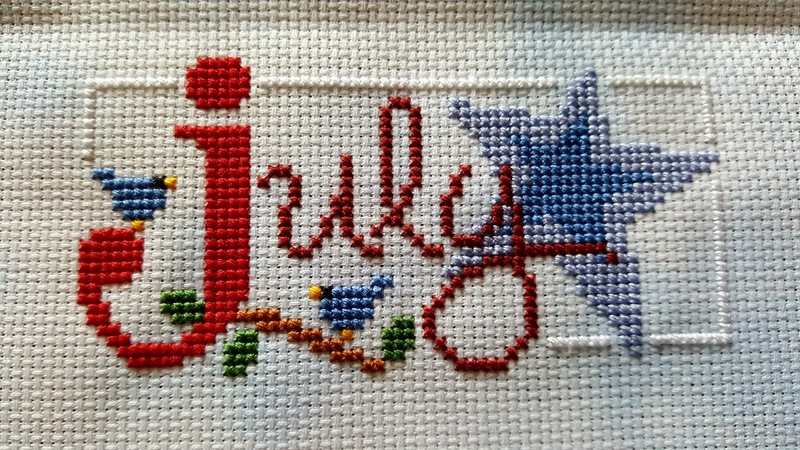 I'm back with an update on my July stitching. 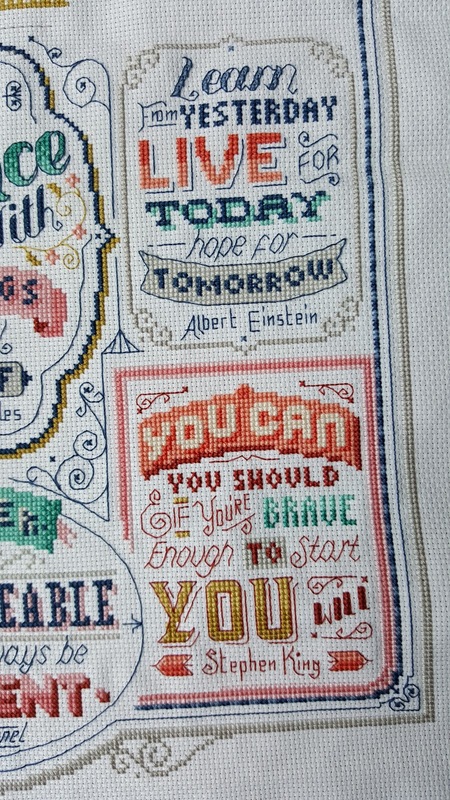 Some of you may remember that I joined a Stitch Along to raise money for Mind, the mental health charity. I'm pleased to say I have finally caught up, in time for the final quote to be released on 1 September. I've also kept up with my monthly stitching commitments. 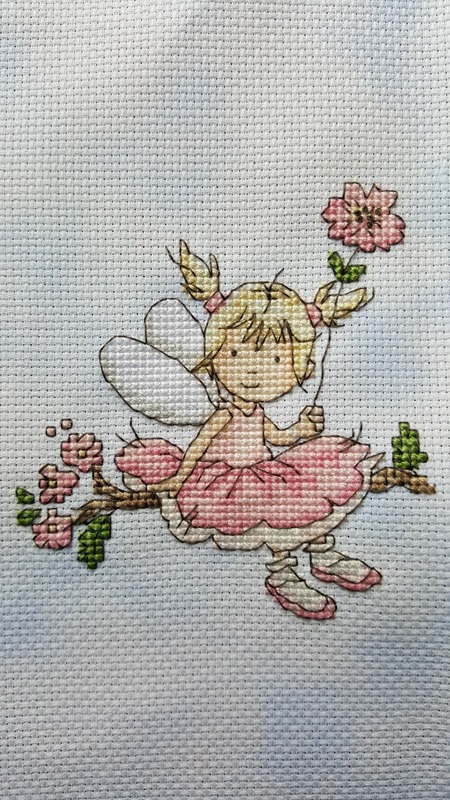 Here are my July fairy and Lizzie Kate monthly. Thanks to everyone who sent good wishes following my recent health problems. I'm happy to report I'm feeling much better now. 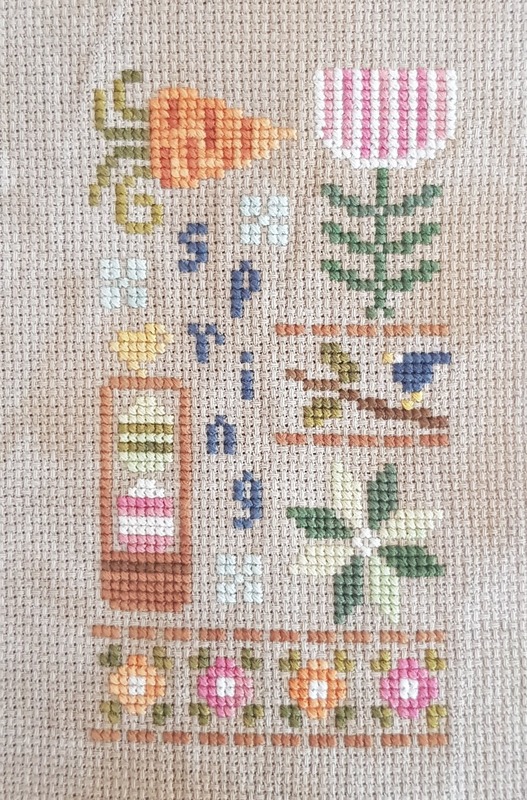 It's been a while since I've posted here. Thanks to everyone who sent messages asking if I was OK. I had a busy few weeks at work and some health issues to deal with but don't worry I've done plenty of stitching so I have some things to share with you. I am keeping up to date with the Lizzie*Kate monthly designs that were very kindly gifted to me by Julie. 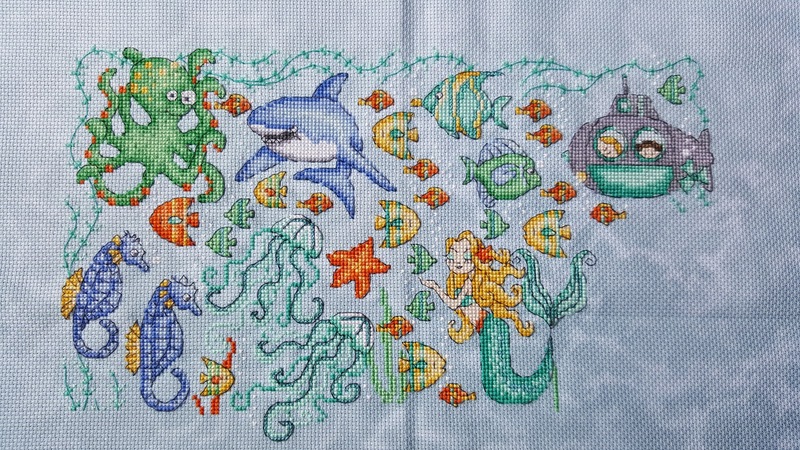 I'm very proud of the fact that I have kept up with the Under the Sea SAL by Lakeside Needlecrafts, designed by Durene Jones. Hot off my needle this morning is the whole thing including July's mermaid. This is such a fun stitch but always takes me longer than I think it will to stitch each part! 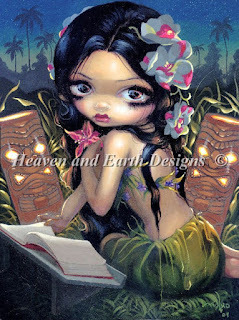 I will be back soon with more including a couple of finishes, another SAL I am working on, an exchange and a new start. 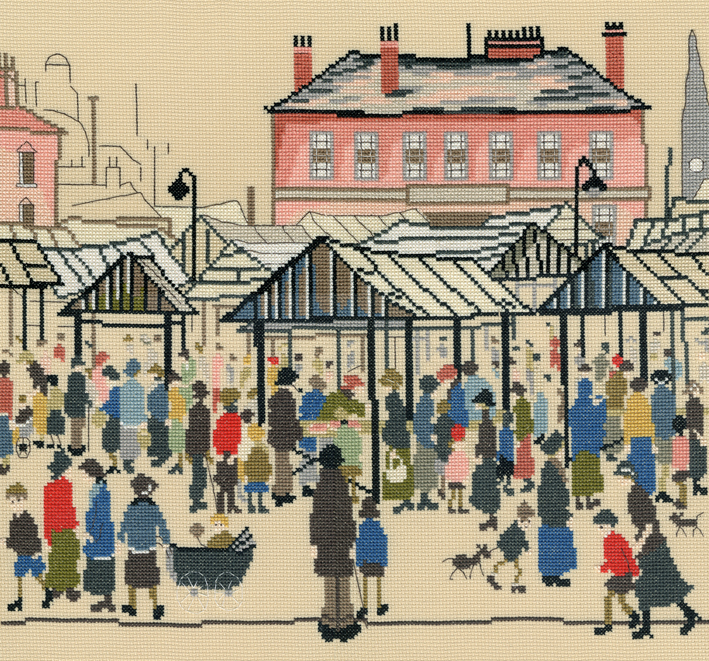 Born and still living in North-West England. 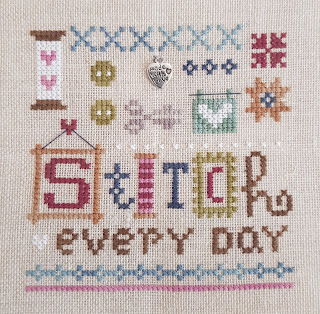 I've been stitching for over 25 years. 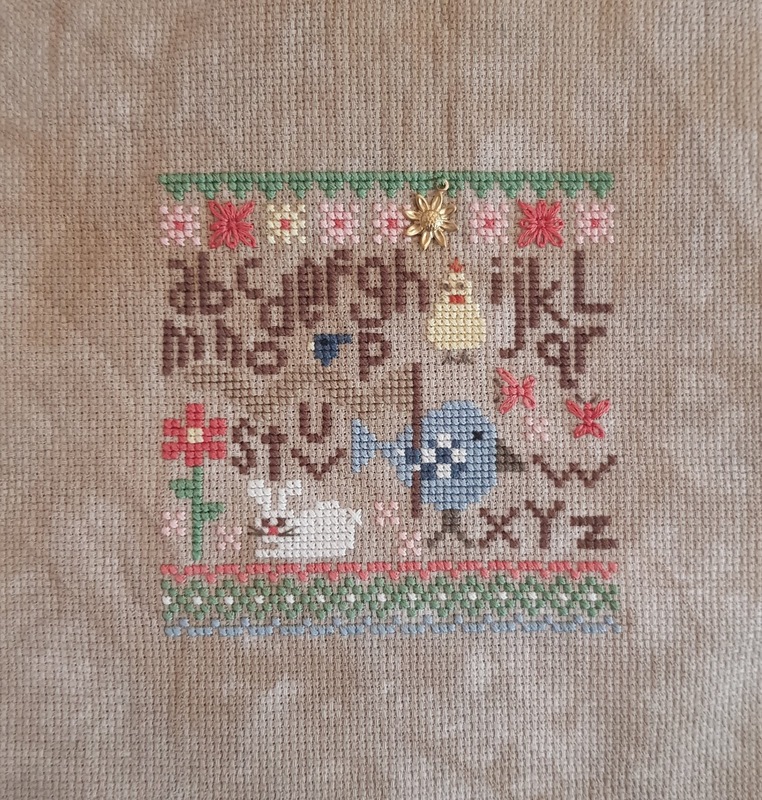 Discovered stitching blogs in 2013 and never looked back! 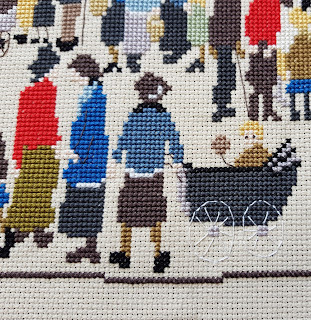 Mum to two sons and with a demanding job, I try to squeeze in a few stitches every day.